How to use a React DateTimePicker with Rails forms. Everyone in Boulder has a dog. Everyone in Boulder who has a dog and works at MojoTech brings their dog to work. However, not everyone that has a dog works at MojoTech, leading to a need for dog walkers and ultimately an application to schedule outings. Later, in Phase 2, we’ll configure Webpack to use hot-loading (for happy development) and code-splitting (for performance). For now the app is small, we’re not noticing any problems bundling all of our React code with Browserify, so we’ll keep the configuration simple. Our first component is a Bootstrap React Datepicker, to use inside a Rails form. Because we are setting the state within the component, it’s considered a Controlled Component (or ‘smart’ component). The datepicker we used may be cloned from https://github.com/quri/react-bootstrap-datetimepicker.git. There are also several forks of this original project, which was in turn a port of https://github.com/Eonasdan/bootstrap-datetimepicker for React.js. We chose to use the original fork in order to add timezone functionality without modifying the plugin. Our Datepicker component is written using ES6 syntax, so we’ll need to add additional dependencies to transpile the code. For your reference, the Dogwalker code is available at https://github.com/mojotech/dogwalker. If you’d like to follow along you may clone the repo, set up your preferred db (we’re using postgresql) and run bundle && npm install. You should be good to go. The date and time to be edited, or other date/time (data-date). 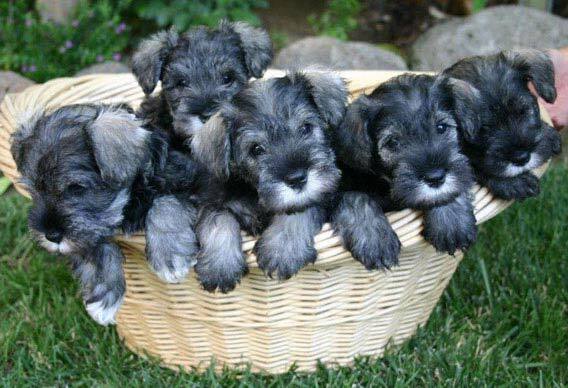 A specific timezone (data-timezone) -- someone could be traveling to Boulder with their Miniature Schnauzer. ### . . . . .
app.js.jsx is the main application “root” for all of the React code, and this is where we’ve put our initialization code. If we were to use Redux, we would also add the <Provider> inside this file. The app.js file references the Datepicker Component, passing down the data-attributes as props. Now all we need is to add that component to datepicker.js.jsx (inside the components folder). In addition to the render function we’ll also add an initial state, and a handler for setting the state, when changed. ### . . . . The datetimepicker plugin takes several props, including format, date, inputProps (an object literal containing any extra information), and defaultText (used only in the initial render). The functions formatInZone() and dateInZone() return dates formatted to the passed-in timezone, if it exists. Otherwise they will return the time based on the browser’s timezone. Now whenever a new date/time is selected, the onChange function is triggered, which calls the handleChange function, which in turn displays the date and time inside the form field. The field value is also simultaneously updated in a format which can be interpreted correctly by Rails. There are a few gotchas to be aware of when using the react-bootstrap-datetimepicker module. In the initial render, the defaultText prop is used to display the initial date passed in by Rails. It is not used in subsequent renders. The plugin uses moment.js in strict mode, which means it’s imperative to match the format used for setting the new value to the inputValue property. The plugin converts datetimes to timestamps with milliseconds. In order to format the date properly for Rails, we needed to convert to a unix timestamp in seconds. It’s necessary to use setState() inside the handleOnChange function in order to update the form field’s value as well as the date to display. If you’ve noticed, we haven’t used any React Lifecycle methods such as ComponentDidMount or ComponentWillMount in our code. But in fact the React Lifecycle is maintained; these methods are part of the DateTimeField Class, which lives inside the module. And there you have it, a simple re-usable React Datetimepicker. It’s almost magic. Except it’s not. It’s React!